Denmark is famous for its bacon and pastries, but not so much its gambling. However, do the Danish like a punt and if so, how do they go about it? 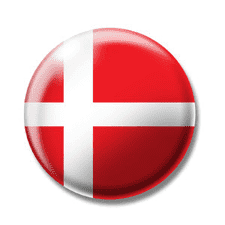 We find out… Below is a table with a list of the best online betting sites for people living in Denmark. Later on you will find out how the Danish online gambling industry is regulated and why certain companies are allowed offer betting, while others are not. Until recently, all regulated online gambling in Denmark had been officially run through one sole operator, Danske Spil. Founded in 1948, the primarily state owned venture initially offered 1X2 markets on football matches, but eventually progressed to offer a wide range of betting options, from a whole host of different sports, to slots and instant casinos. The Danish government were more than satisfied with their betting operator monopoly, primarily for two reasons. Firstly, it meant that they were able to benefit from the revenue stream generated from the gambling activity. The profits from Danske Spil were by and large being utilised for positive purposes such as donations to charity, investment in sport etc. However, whilst in theory having a monopoly over the betting industry could facilitate maximum control and regulation, in practice it wasn’t effective. The internet provided endless amounts of bookmakers based outside of Denmark who were willing to accept Danish custom. Some would go as far to offer Danish translation on their sites to entice sign-ups and make the whole process easier. Like the majority of Europe, the main sport in Denmark is football. For a relatively small country (around 5 million inhabitants), the Danes have performed well on the international stage, winning Euro 1992, and fostering the talents of the famous Laudrup brothers. Their domestic football league, the Superliga, has 1X2 and Outright markets priced up by 21 of the 25 major European bookmakers. Naturally with the benefit of local knowledge, betting interest in the Superliga is high, but with extensive TV exposure, Danes conduct out a large percentage of their football betting on the English and Spanish football markets. Handball is also a big betting sport in Denmark. Unknown in many parts of the world, but ubiquitous in the country in which it was invented at the turn of the century. Ever increasing in popularity around Europe, it is the Danes main winter sport. Despite taking a more liberal approach to online gaming, the Danish authorities have still maintained strict regulation of which sites can be accessed. Only those firms who have registered their business for online gaming within Denmark (and subsequently pay the necessary tax) are able offer their services to Danish customers. Unlike with some countries. the bookmakers appear to strictly adhere to the legislation, with those who are yet to fork out for a licence, not accepting Danish customers. Bookmakers William Hill, Stan James, Coral and Paddy Power stand together in not being able to accept Danish customers, whilst BetVictor are happy to take Sports bets from Denmark, but do not offer their poker facilities. Both Ladbrokes and Sporting Bet accept customers, but their sites advise that all betting activity needs to be conducted specifically through their .dk addresses. This is probably to ensure that all betting revenue generated by Danish customers is taxed correctly. It is no surprise to see Sporting Bet as a company who are licenced, as they not so long ago, purchased two Danish bookmakers – Danbook and Scandinavian Bookmakers. Betfair and Bwin also have licences within Denmark, so are available for business, and it is perhaps a case that due to their small population, those unlicensed firms do not predict they would be able to able to attract a significant enough market share from the Danish gamblers, to make it a viable proposition. Good news for Danes who profit from their betting activities…there is no taxation on winning. The betting companies pay tax on their revenues, so the individuals do not have to. Most bookmakers offer sign-up bonuses to attract new customers, and with the majority of companies, these concessions are available to Danish customers. All of the standard deposit options are available to Danish customers. They are free to use their debit or credit cards, can use an assortment of e-wallets, or even wire money directly from their bank if they so wish. Paypal, Netellers, Moneybookers etc. are becoming increasing popular ways of funding betting accounts, as funds are liquid and do not need to be sent back to the bank every time a withdrawal is made. Denmark appears to be a small country with a big betting appetite. Since the liberalisation of the laws in 2012, there has been an increase in the gambling spend by Danish citizens. International bookmakers are accommodating, offering their sites in Dansk, and providing popular markets such as Handball and Danish football. With no restrictions on deposit options and attractive sign up bonuses available, the gambling culture within Denmark is only likely to grow.